If there’s one time of the year when you need to make your dining tables extra special, it’s Christmas. 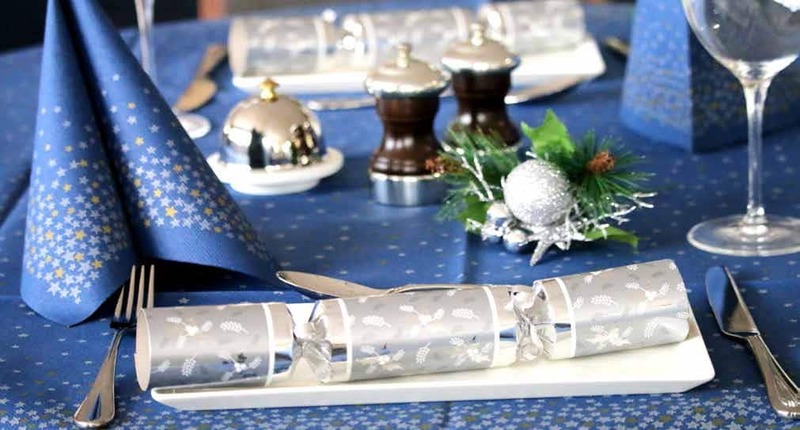 Creating a table with the wow factor sets the tone for the entire Christmas dinner. Often during the festive season, groups of friends, family and colleagues gather together to enjoy a few drinks and a delicious meal. Your diners expect tables that will fit every member of their group together, but also enough room on the table for each individual to sit comfortably, and be able to move their arms when using cutlery. Festive bookings will be made for both lunch and dinner as your customers arrange suitable times that their dining group can meet. 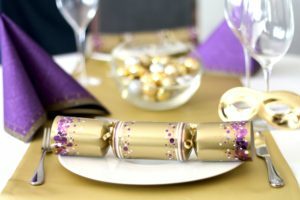 On each table, there are basic essentials that your diners will require to enjoy their meal, but also some extras that are expected at Christmas. For operators wanting to wow their customers, there are also a few ways you can go above and beyond expectations. When deciding on your Christmas tableware, you must first consider which tableware items you will be needing and what tasks they will be required to complete. This will help you decide which tableware products to order. For example, do you need 33cm lunch napkins for lunch and larger 40cm napkins for dinner? Should you order eco Christmas crackers, luxury crackers or perhaps executive crackers? Are you requiring Christmas table coverings, table gifts or candles? After the correct tableware products for your tasks have been decided, it’s time to start thinking of your colour scheme. The colours that you choose for your scheme may be based on a few things, for example, the dishes on your seasonal menu, your brand colours or the style of your establishment. Fine dining restaurants may choose silvers, golds and whites, casual dining eateries may prefer traditional reds, greens and golds, and street food vendors or cosy café’s may prefer natural kraft brown and forest greens. Once a colour scheme has been decided it’s time to order your tableware. Although similar coloured items will look good together, matching patterns and designs across different items of festive tableware will truly tie your scheme together. Tablecloths, festive runners, seasonal design napkins and Christmas crackers are especially important for your tables, but don’t forget to order your Christmas design paper hot cups and additional napkins for your takeaway and delivery customers. While ordering your festive tableware, you can also purchase your Christmas decorations, partyware and novelties, additional hot food packaging and drinks tumblers. Take a look at our Catering Operator’s Top 10 Christmas Shopping List blog for full details of products required during the festive season. When setting up your tables for Christmas bookings, firstly ensure the table is completely clean before laying your tablecloth. Once the tablecloth is covering the table, a runner can be added, either across the center of the length of the table, or placed across the width covering each pair of opposite table settings, much like the image above. 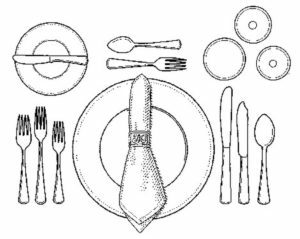 Once table coverings are complete, cutlery and crockery should be set down in a similar way to the image below. Customers will begin eating their meal by using the cutlery on the outside left and right, and then work toward the plate as the meal proceeds. 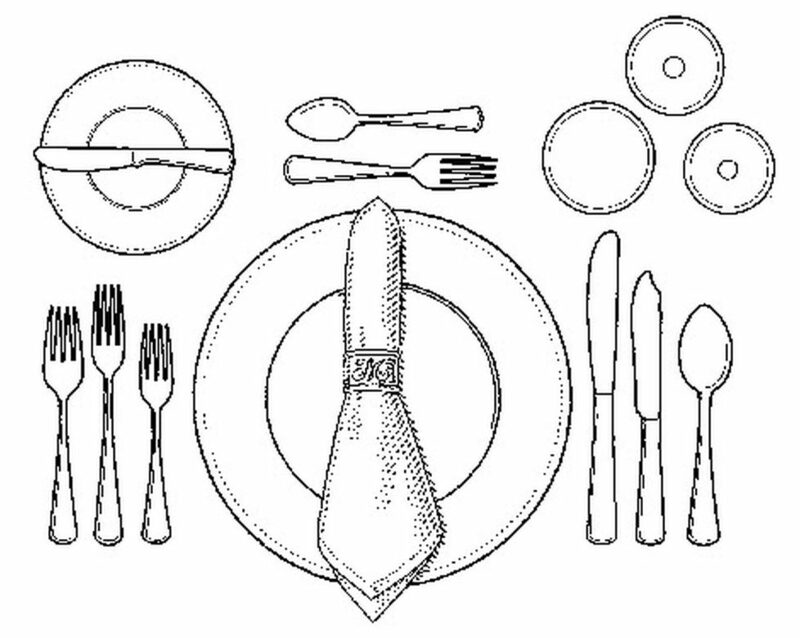 Stemware should be set above and to the right of the dinner plate, with the water glass above the dinner knife, white wine to its right, and red wine top center. Bread-and-butter plates sit above the plate and to the left. Dessert cutlery sits at the top of the setting, with Christmas crackers either above or to the left of the forks, depending on available space. To go beyond the traditional Christmas table setting, Christmas gift boxes and festive novelties can be added to the table, from party poppers to streamers and confetti. To see our full range of Christmas tableware and other festive products, take a look at our 2016 Christmas Collection brochure here.